15 Common Sleep Beliefs: Fact or Fiction? The older you get, the more sleep you need. FALSE: From age 21 to old age 8 hours, more or less is needed. The main reason teens are sleepy is the brain produces melatonin later than other age groups. 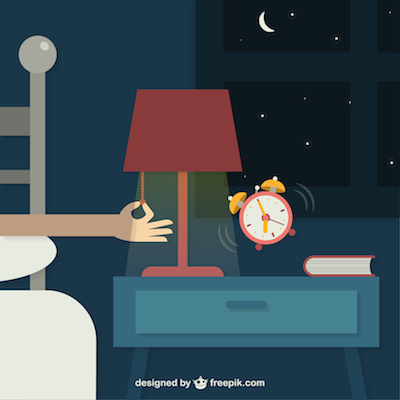 TRUE: The biologic clocks in teens are usually delayed and Melatonin is produced later at night so they dont get as sleepy until later. Melatonin is the hormone of darkness. TRUE: The brain produces it and releases it at night, when in the dark. It is low in the early morning light. About 40% of people who are very overweight have sleep apnea, even if they don’t know it. If teens are not getting enough sleep,the rates of depression, sleepiness, and motor vehicle accidents goes up and grades go down. TRUE: Studies have shown this. Restless legs can be easily treated most of the time with either Iron, Melatonin or prescription medications. TRUE: Iron deficiency is a cause. Recently it was shown that Melatonin helps decrease restless leg syndrome. Children from age 3 to 9 can have significant apnea if their tonsils are big. CPAP is the only way to treat sleep apnea. FALSE: There are several other ways. TRUE: Also heart attack and stroke. Sleep apnea and AFIB are often found together in the same patient. TRUE: Apnea can make it worse. Children with Autism Spectrum disorder occasional have sleep problems. Children with ADHD are so active in the daytime that they sleep well at night. FALSE: Often they have difficulty settling down and falling asleep. Autism, Narcolepsy, Seizures, Insomnia, Restless legs and Obstructive Sleep Apnea are all brain/neurologic problems. FALSE: All are except sleep apnea which has other causes. This entry was posted in Misc and tagged sleep-sidebar. Bookmark the permalink.